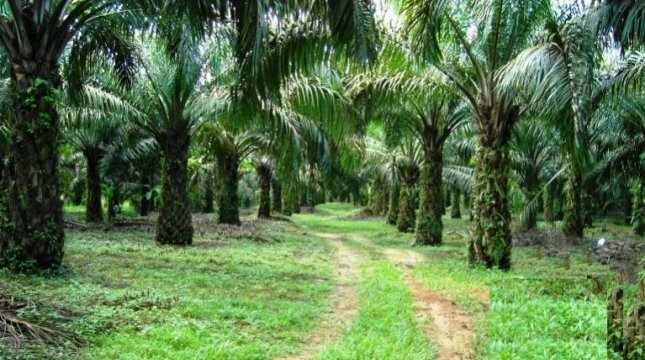 INDUSTRY.co.id - Pekanbaru - Oil palm business has helped reduce poverty rate in developing countries especially in Indonesia. According to him, based on the results of BI research, 47 percent of Riau's economy is driven by the palm oil industry, and the fact is that 70 percent of Islamic University's (UIR) students depend on the oil palm plantation economy. Because, he said, the parents of these students are oil palm farmers, meaning that if the price of oil fell or fell then the request for leeway time (delinquent) tuition will accumulate on the table UIR leadership. "It is believed that 80 percent of palm oil production comes from developing countries, so it is very positive to increase people's income, and from 80 percent it turns out Indonesia is the largest producer of palm oil," he said. In addition, the ownership of farmers or citizens is very large in the oil palm plantation business, where 46 percent of the total oil palm plantations in Indonesia are owned by citizens / farmers, while for Riau area of ​​2.4 million hectares was 56 percent (1.36 million hectares from total oil palm plantations in Riau are owned by oil palm farmers. The range of ownership of oil palm plantations managed by the people between 2-20 hectares and 2.1 million people depend on 1.36 million hectares of oil palm plantation with the absorption of labor reaches nearly 600 thousand inhabitants (BPS 2015). Besides that, in Riau, as much as 76 percent of the ownership of smallholder oil palm plantation farmers was in the forest area that is completely unknown to the people's palm oil farmers and the palm there is a 30-year-old.